President Abraham Lincoln is remembered as the United State’s 16th President whose life was cut tragically short by assassination in 1865. Throughout his career, Lincoln made a name for himself as a man who used his political prowess and passion for social change to keep the Union from dismantling during a time that the country was divided by the Civil War, all while catalyzing the emancipation of slaves. Lincoln’s life and story has been immortalized in various texts, books and movies. However, there are some anecdotes and stories about the 16th President of the United States that don’t appear in textbooks or on-screen. From his early days as a wrestler, to a serendipitous encounter with the brother of John Wilkes Booth’s brother, and even dabbling with the occult (no, Lincoln was not a vampire hunter), here are the top strange facts about Abraham Lincoln. In his biography “A. Lincoln: A Biography,” author Ronald C. White Jr. details the times during Lincoln’s youth (from the age of nine until his early twenties) that he enjoyed the sport of wrestling. WWE spoke to White about Lincoln’s wrestling history, and how “honest Abe” was quite the fair fighter. In one instance,Lincoln became very heated when his opponent (who was a sort of “world champion” of New Salem at the time), attempted to trip Lincoln—“a low blow by today’s standards”—when he sensed he was losing the match. Believe it or not, Lincoln’s early years as a wrestler helped fuel his political career. The notoriety—however slight—he had gained had made his name recognizable, and earned several votes when he ran for Illinois state legislature in 1832. As iconic (if not more so) as Lincoln’s beard was his stovepipe hat, an eight inch accessory that made the 6’4″ president tower even more prominently–albeit, with humility–over his colleagues and fellow Americans. Smithsonite Mag notes that the hat was often a source of comedic fodder for caricaturists, and also may have been a deliberate choice by Lincoln to add to his “frontier image,” as the oft worn headgear became battered and worn until Lincoln finally purchased a new top hat later in his career. Before going to the theatre on the night of his assassination, Lincoln chose a silk top hat made specially by J Y. Davis that featured a mourning band in tribute to his late son Willie. The hat’s brief tenure ended on the floor beside Lincoln after he was shot and killed by John Wilkes Booth. Just as Lincoln had chosen his hats for things like image and homage, he also found several other facilities in the tall accessory. It is hard for anyone to not be familiar with the name “John Wilkes Booth” the man who assassinated Abraham Lincoln. You may not be as familiar with the name Edwin Booth, John Wilkes Booth’s brother. During the time, however, Edwin’s name was the more iconic one, as he was a prominent theater actor. Edwin and John experienced a somewhat volatile relationship, especially when it came to political views. Edwin was a staunch supporter of President Abraham Lincoln, while John was in extreme opposition as a self-proclaimed secessionist. When Edwin caught wind of the assassination of President Lincoln and the fact that his brother was the man responsible for the murder, he was enveloped in shock and grief. It was the help of friends that brought Edwin out of his grief and depression following the assassination, as well as the knowledge that he–while President Lincoln’s life had been taken–he had been responsible for saving the life of his son. Edwin went on to open the Booth Theater which eventually folded, but he continued a lucrative acting career until his death. 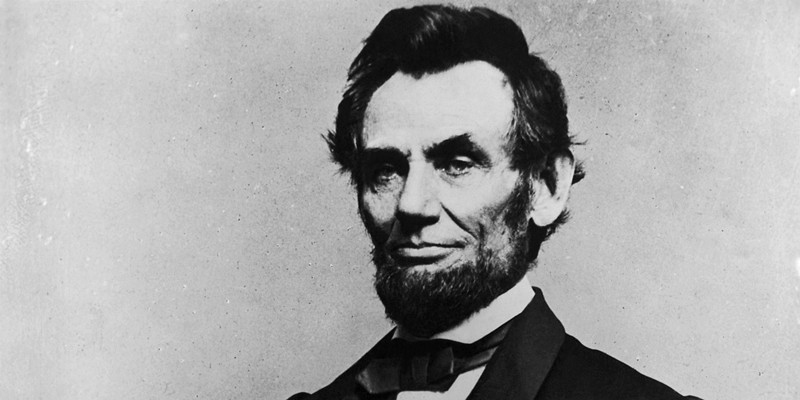 Lincoln’s beard was historic in that he was the first president to showcase a beard. The story behind his choice to grow the beard actually becomes even more interesting. Apparently bristles were a new frontier for the regularly clean-shaven politician. But, being quite the frontiersman himself, Lincoln decided to throw caution—and his razor—to the wind. He wrote Bedell back and reportedly arranged to meet the precocious preteen on his way to his 1861 inauguration. Grace Bedell later spoke about the face-to-face interaction with Lincoln. Bedell continued that she had prepared a bouquet of roses to give to the President but was so jolted by Lincoln’s affection, she returned home still clutching the stems. She recollected seeing a mixture of kindness and sadness in President Lincoln’s eyes. According to History, Lincoln’s former lawyer, friend and bodyguard, Ward Hill Lamon, offered an account of a dream Lincoln had shared with him days before his assassination. In a room where only the President, Lamon, Lincoln’s wife, Mary, and potentially one other person was present. Teaching History notes that after some needling from his wife, Lincoln disclosed details of the dream in which he recalled immediately feeling, “A death-like stillness about me.” In the dream, Lincoln was accosted by “mournful sounds of distress.” The cries led Lincoln to the East Room where he saw a covered corpse flanked by a grief-stricken crowd. It should also be stated that Lamon was the only one to relay the meeting where Lincoln spoke of the dream, which seems odd considering the eery proximity the occurrence had to Lincoln’s assassination. If Lincoln’s wife, Mary, had been present during Lincoln’s account, why wouldn’t a quote or recollection surface from her following the assassination this dream seemed to foreshadow? Still, several “respected authors” have stated the account is valid. Talk about a fancy feast! Lincoln’s cat, Tabby, got quite the presidential treatment during dinnertime. According to Today I Found Out, Tabby not only got to sit at the table with the President—the feline was even fed with a golden fork! Lincoln loved cats, along with other animals. He was such an animal lover, in fact, he refused to hunt or go fishing. Tabby and Dixie were the two cats President Lincoln mainly cared for and adored, although he was known to also take in abandoned strays at point. Editor-in-chief of Tarcher/Penguin and author of “Occult America”, Mitch Horowitz spoke to Big Think about the seances held at the white house during Lincoln’s time as President. He describes that contact with the supernatural was spurred by the loss of President Lincoln and Mary Todd Lincoln’s 11-year-old son, who had fallen ill shortly after the Lincolns moved into the White House. Horowitz notes that there are several historical records that allege a seance was held at the White House, but that it is difficult for historians to assess which sources are reliable. The most noteworthy account was one that appeared in the Boston Gazette, when Lincoln permitted a correspondent to be present during a seance that was designed as an attempt to contact his late son. Horowitz notes a caveat, however, stating that the article refers to a medium by the name of Charles Shockle, and there were no records of a Charles Shockle appearing in any “spiritualist newspapers” of that time period. Nonetheless, various facets of the account ring true. Moreover, it would make sense at the time for Lincoln to not only permit a seance to be performed at the White House, but for him to utilize the press in a way to make his experiment with spiritualism widespread knowledge. At the time, spiritualism and the use of mediums was considered socially progressive, and something several liberals had already begun experimenting with as part of parlor room entertainment. Rather than paint Lincoln as eccentric—which would likely be the sentiment today if news camera caught our current President kicking back with a Ouja Board—the supernatural experiments would actually work in Lincoln’s favor, expounding upon the image he put forth as an open-minded, progressive frontiersman. Server responsed at: 04/18/2019 10:59 p.m.